One thing transforms Rock of Ages from a great Band performance into unquestionably their finest hour: the presence of Allen Toussaint, who put together a horn section comprising various players from the jazz scene, but crucially also arranged all their parts to complement the songs. With arguably music’s finest brass session players in place (sporting experience with Miles Davis, Ray Charles, Chick Corea, Taj Mahal among others), the group’s performance transforms from quintessential Americana into a loose, funky sound loaded with sass and soul. If you didn’t already know of Toussaint’s New Orleans background, it wouldn’t take long to guess it from the sound of the brass on tracks like Rag Mama Rag. Aurally it adds a third dimension that’s equivalent to hearing a previous black-and-white band in roaring, glorious technicolour. Nowhere is the transformational contribution more evident than on The Night They Drove Old Dixie Down. Being honest I’ve never been a massive fan of a token horn section addition (Oasis, I’m looking your way), but on this song in particular the case for their brilliance is writ large. Levon Helm also delivers one of his finest vocal performances, sounding ragged, worn and utterly brilliant. 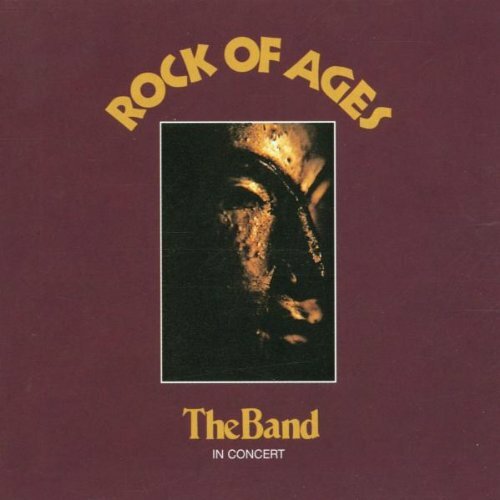 As great as The Band’s albums are, Rock of Ages stands head and shoulders above the rest. If there’s a downside to this album, its that Toussaint’s horns make this band something else entirely – and something that was never repeated again across The Band’s catalogue. Its the only album of theirs I still play relentlessly. Check it out below and see what you think. Thanks. Totally agree with you about relative merits of the two live records. Only caveat being that van Morrison on waltz turns in epochal performance. Will check your archive. Regards Thom at the immortal jukebox.